Steve Hall is one of our most poplar teaching artists and in this his fifth DVD for us he reveals some of his secrets on how to produce a winning watercolour. Steve Hall is a master of expressive big brush watercolour painting and in this DVD he reveals his secrets of how to produce a winning painting every time. If you are tired of producing too many failures then this is the DVD to get you back on track. Steve starts by demonstrating his new technique aimed at producing the perfect eye pleasing composition every time. He covers subjects such as how to simply paint figures in a landscape and what to do when there appears nothing worth painting! 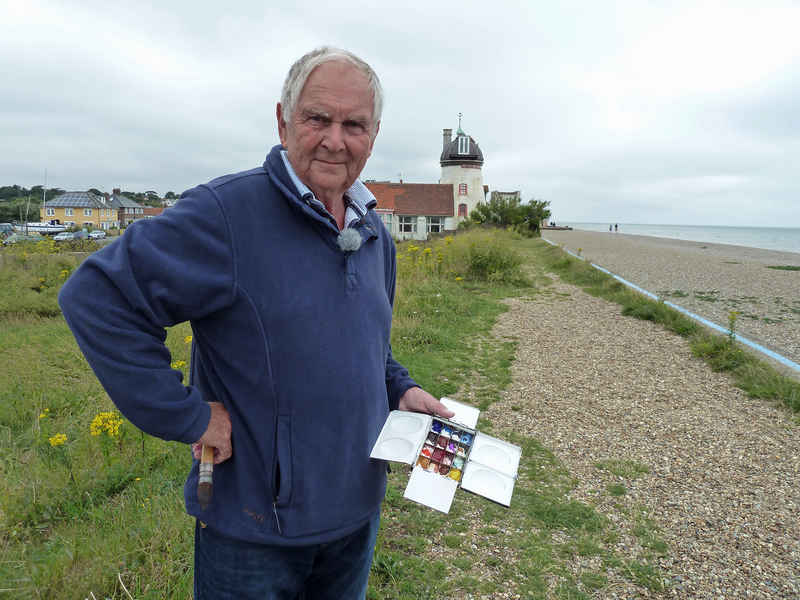 The DVD is filmed on location in the charming Suffolk seaside town of Aldeburgh - home to the famous music festival founded by composer and former resident, the late Benjamin Britten. This DVD is full of really practical painting tips presented in Steve's usual enthusiastic and supportive style. 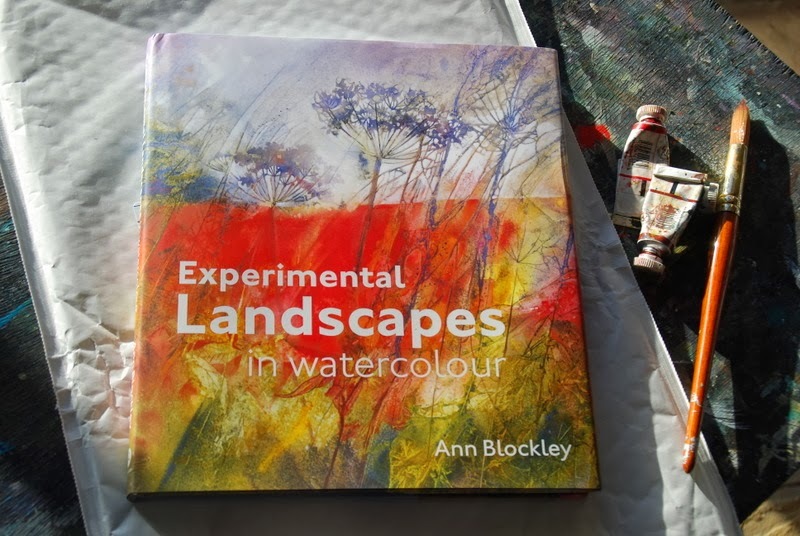 A must for fans of loose watercolour painting. This DVD, like our whole range, is available in both PAL format for the UK, Europe and NTSC format for the USA, Canada and Japan. You will automatically be sent the correct version for where you live. Why not combine this DVD with another and save 12%. The discount will automatically be applied at checkout. 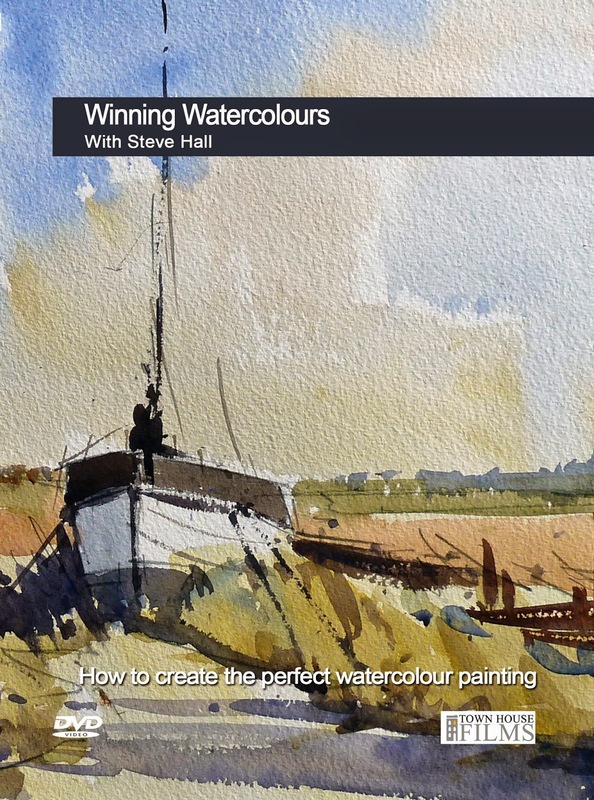 Steve Hall is a master of expressive big brush watercolour painting and in this DVD he reveals his secrets of how to produce a winning painting every time. If you are tired of producing too many failures then this if the DVD to get you back on track. Steve starts by demonstrating his new technique aimed at producing the perfect eye pleasing composition every time. 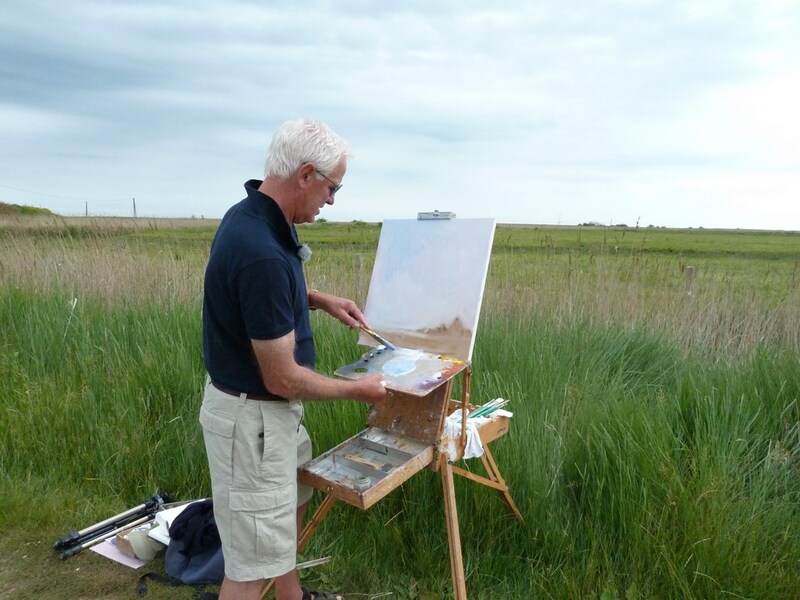 He covers subjects such as how to simply paint figures in a landscape and what to do when they appears nothing worth painting! Our latest DVD featuring the fabulous Chris Daynes is out now! 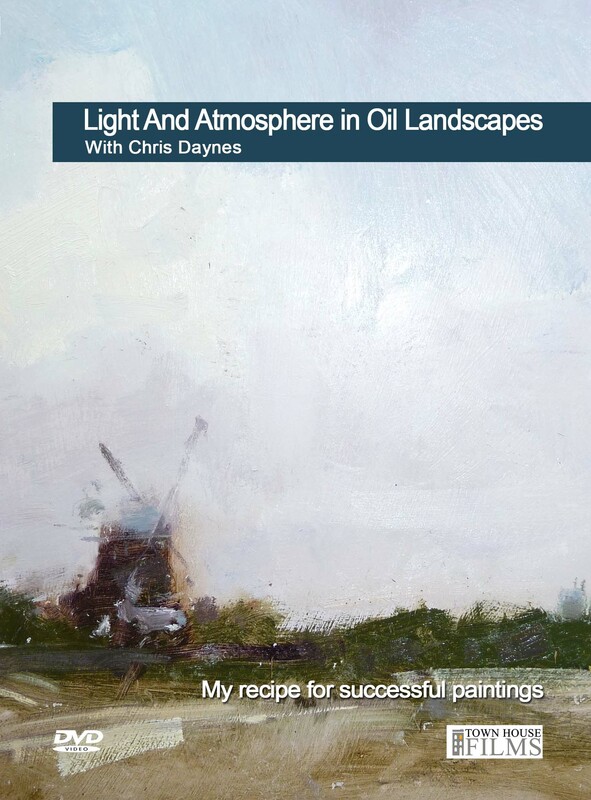 Chris is passionate about plein air oil painting and in this, his second DVD for us, he travels to what he calls his "spiritual painting home" of North Norfolk. 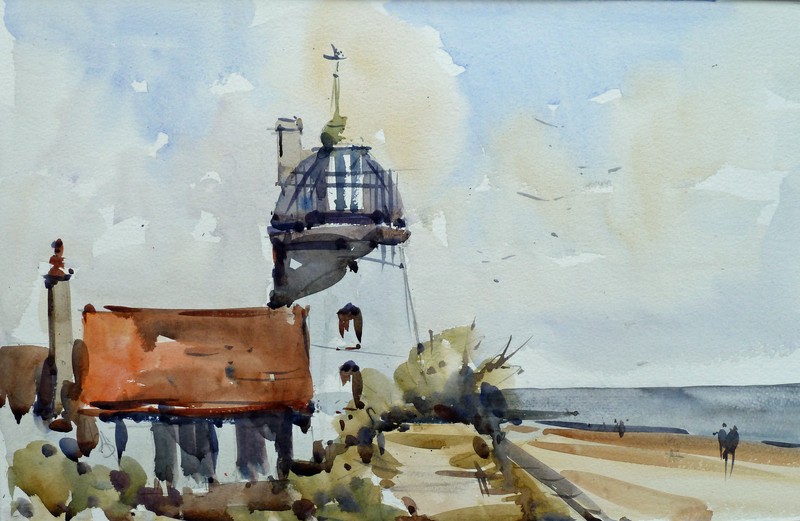 Norfolk is all about big skies and it's these skies that feature prominently in so much of Chris' work. 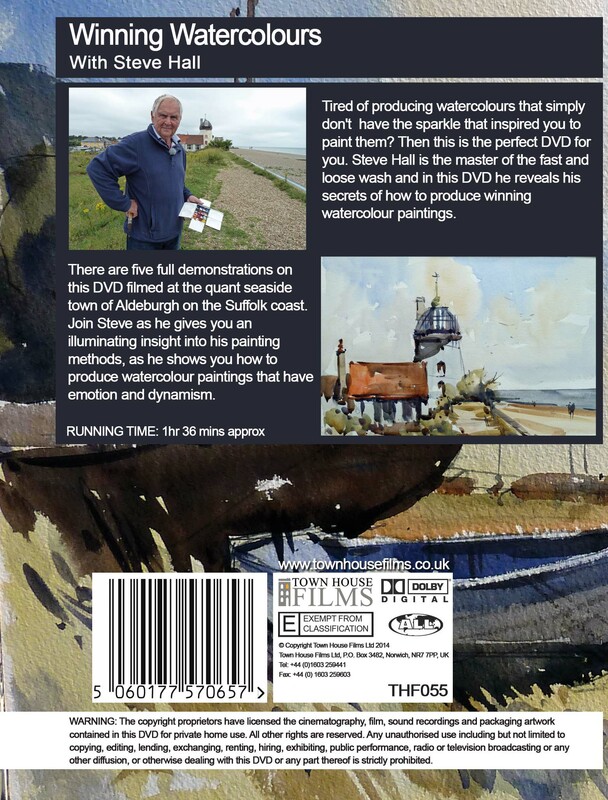 In this DVD Chris, who is based in Kent returns to some of his favourite painting locations including Blakeney Harbour and Cley Next The Sea. Just to prove that the outdoor artist has to learn to adapt to conditions , in this DVD Chris paints both under a blazing summer sun and in heavy rain! It's the rain picture which he was forced to complete in just 45 minutes which is featured on the DVD front cover. As Chris says: "It just shows you what you can do when you are up against the clock!" This DVD - like all our releases - is available in both PAL format for Europe and most of the world and NTSC format for our friends in Canada, the USA and Japan. If you order on line from our web site you will automatically be sent the correct version for where you live. There are four demonstrations on this DVD with a running time of 90 minutes. 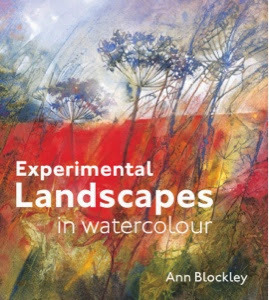 So many people have contacted us asking if we are going to produce a new watercolour DVD with the super talented Ann Blockley after the release of her sell-out new book - Experimental Landscapes In Watercolour. You will be delighted to hear that we are filming again with Ann in September and the DVD will be out before Christmas. The DVD will echo the exciting content of this wonderfully inspiring book. 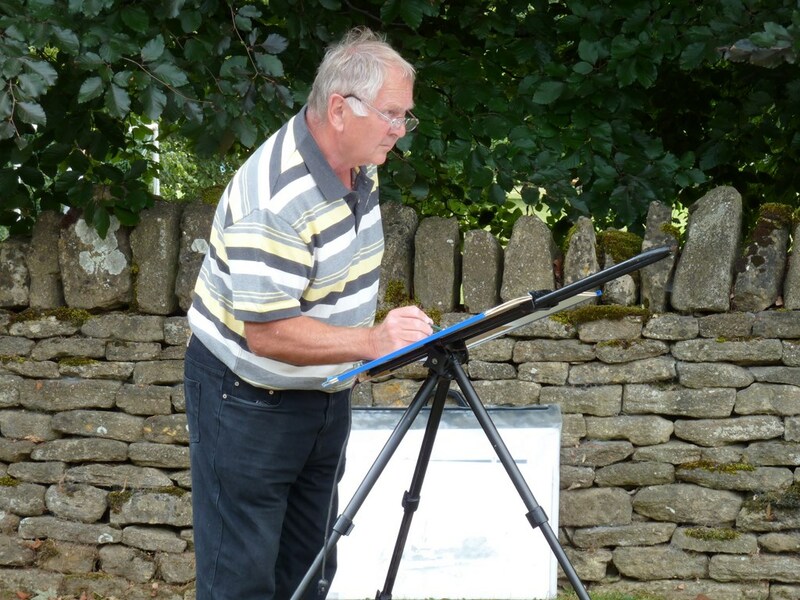 And good news for all you Steve Hall fans - Steve will be filming his fifth DVD with us next week where he will be showing how to produce winning watercolours painted on location. And finally some sad news. If you have bought our DVDs filmed on location you may have seen a cute little dog in the background of quite a few of our films - she was even painted by the great Charles Reid in his most recent film for us. 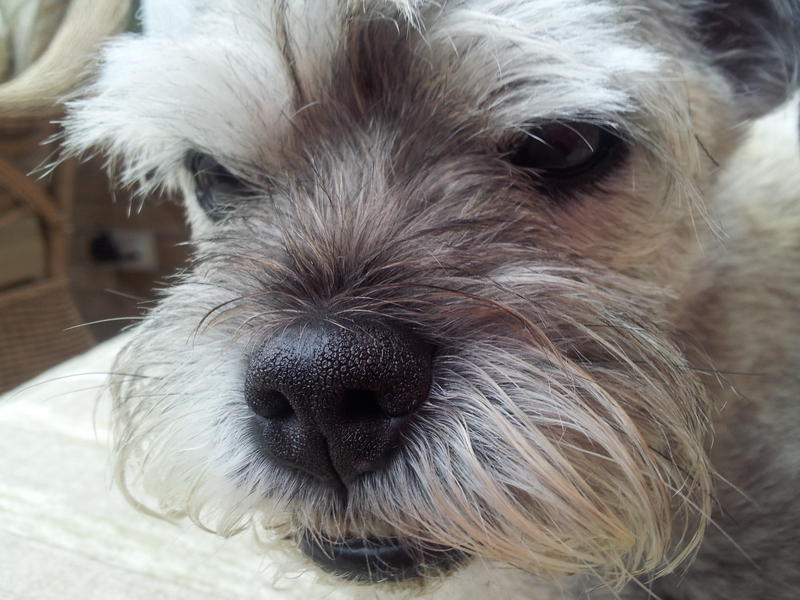 That was our dear Border Terrier Gussie who sadly passed away recently after a long illness. She will be much missed. From us all at Town House Films - enjoy the summer and Happy Painting! New Acrylic DVD Out Now! 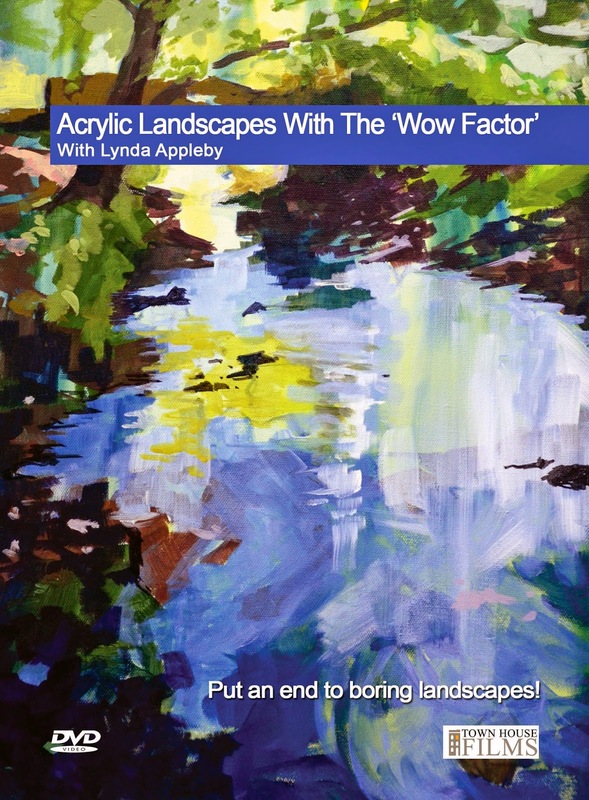 Our latest release features west country artist Lynda Appleby - Acrylic Landscapes With The Wow Factor. Lynda Appleby is an artist with a mission.She believes anyone can create attention-grabbing landscapes if they just follow her simple approach to acrylic painting. She loves acrylics for their versatility and in four exciting demonstrations shows how to put them to good use capturing landscape subjects from the UK and from a recent trip to Australia. 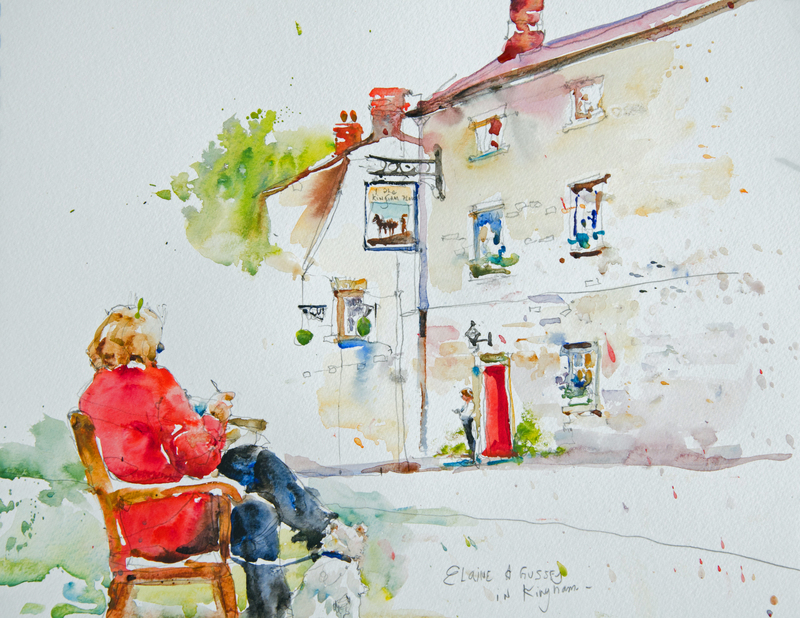 Her aim is to capture that "wow factor" that first inspires the artist to paint the scene. Be inspired! 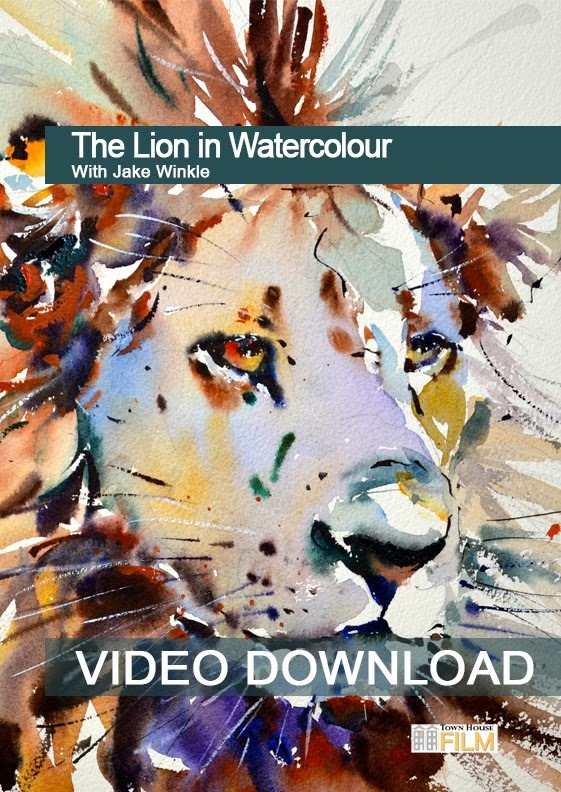 We have just released our latest video download featuring popular watercolour artist Jake Winkle. 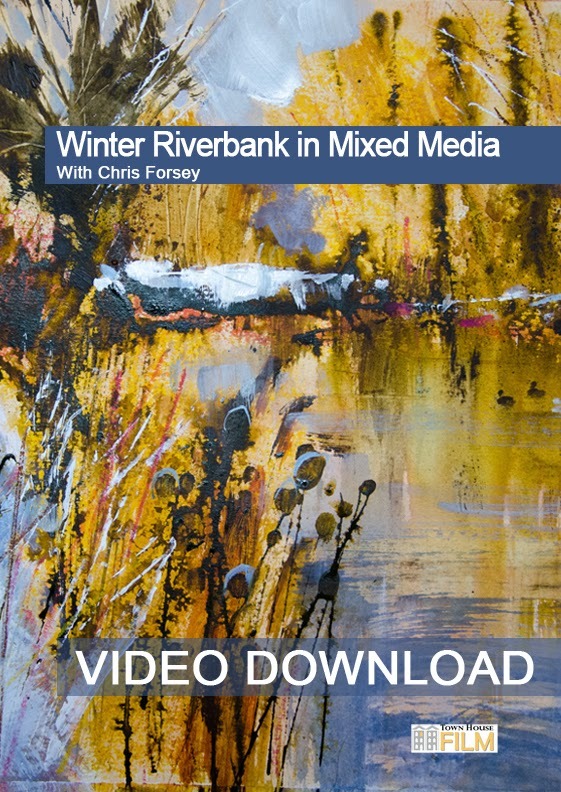 Our latest video download features the fabulous Chris Forsey. It' costs just £3.99 and can be downloaded to keep on a PC or MAC computer. Each download bought can be downloaded up to five times. Once you have downloaded it it's yours to keep for ever. I set up Town House Films in 2008 to help people paint better.